Dussehra revelry has wrapped up, leaving many of us exhausted from all the pandal hopping and binge eating. If like me, you too are looking at rejuvenating your body and mind for the Diwali extravaganza that’s just around the corner, a quick and easy weekend retreat is just the thing you need. 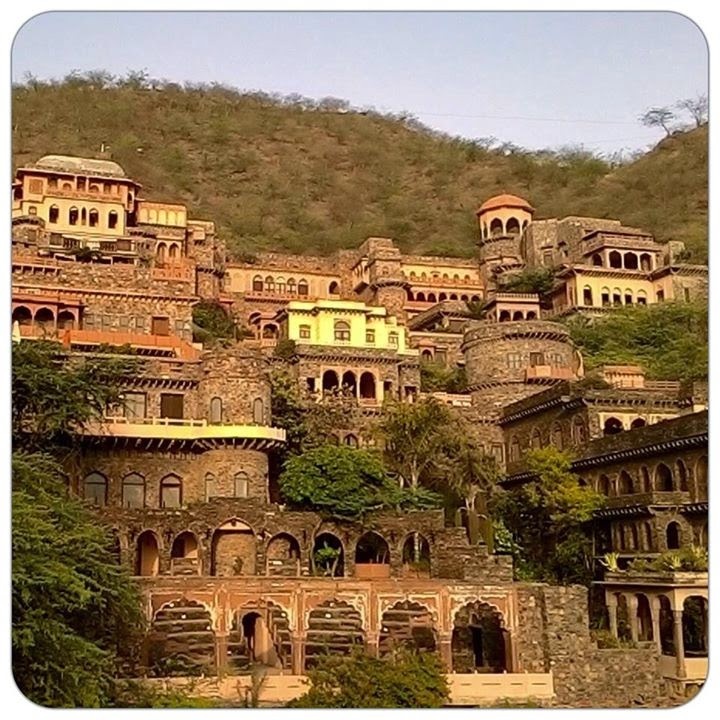 And people in Delhi or anywhere around the region, you need not look far for your much-needed break, for Neemrana Fort-Palace is just the place for you. 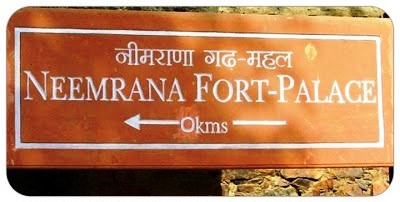 Neemrana Fort-Palace, built around 1460s, is one of India’s oldest heritage resort hotels. Located in Alwar district of Rajasthan, this beautiful resort on the Delhi–Jaipur highway is around 130 kms from Delhi, a distance covered in roughly two and a half hours if you drive down keeping highway speed limits in mind. Neemrana Fort-Palace is a photographer’s delight. Every nook and corner of this attractive heritage property is packed with artefacts from the era gone by. From little trinkets to big heirlooms, every single thing has been taken care of with delicate care. This 11-tiered fort-palace has a lot to offer to the guests, keeping them busy exploring the charm of the fort. While the antiques inside the palace attract heritage lovers, the view of the Neemrana town and the Aravalli rage from the fort-palace is no less fascinating. Most of the rooms at Neemrana Fort-Palace are mahals, which are theme based, giving the guests a unique stay experience. For example, the Francisi Mahal is a French suite with a pillared verandah and offers a flavour of colonial France. The furnishing inside this mahal includes a tapestry of Joan of Arc. Likewise, the Hara Mahal, named after Lord Shiva, has an Indian seating behind its peacock arches and is adorned with early 20th century oleographs produced by Raja Ravi Varma. Now, who wouldn’t want to spend some relaxing time in such romantic settings? So if a quiet, rejuvenating getaway is on your mind, then Neemrana Fort-Palace would make a perfect choice. Pack your bags and head to this exquisite resort for a quick detox break and rest assured the experience will make you want to go back over and over again. 5 Tips to Travel Like a Pro! I just love this place: Neemrana Fort Palace. What I like about the place is the traditional architecture which reminds you of our ancestors. When I visited the place, I had explore all the locations inside the fort, had food which was awesome and done zip lining which is the best part of this one day trip from Delhi.